The director of Survivor is considering shooting the next season in your assigned country but she needs to learn more about how groups function in that culture before making a decision. You tribe’s job is to educate the Survivor director about the various elements of group communication in your assigned country. This project will be submitted in five segments throughout the course but all will be revised prior to the final presentation. The tribe will contribute text-based and multimedia content to a collaborative Google Presentation to collate the required information and will present their Google Presentation on the last day of class. 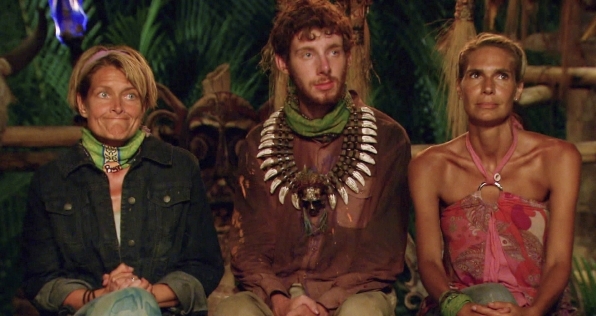 During a final Tribal Council held at the end of the course, the class will cast their votes for the winning Survivor Group Comm tribe. The winning tribe will receive 100% for their Survivor Country Analysis Final Presentation. A very basic Google Presentation template has been provided for each tribe to fill in with content from the five required segments of the project. You will add additional slides as needed based on the content of each segment. Your tribe, however, is welcome to use other digital tools to present the information – I think a WordPress site would make for a great presentation but I do not want to scare the class with requiring use of this technology (though Lynda.com has excellent training videos that are free for CI students). If you have a tribe member who has the skills to put together a better presentation format than Google Presentation or you want to be adventurous and learn WordPress, go for it! However, keep in mind that the presentation must have a navigation table of contents that can guide the reviewer from one section to the next (as opposed to requiring him/her to click through the entire presentation). Your tribe must put together a multimedia presentation containing information (e.g. text, videos, images) that address each required segment of the presentation (listed below). A wide variety of sources should be used to collate this information and citations must be made directly on the presentation slide. Consider each slide as a visual depiction of the content you’re portraying (akin to a webpage) – do not approach this like a PowerPoint presentation with key points popped on each slide or an essay. THINK OUT OF THE BOX. There is no explicit word count or number of sources required for each segment of the project; My desire is for you to simply ensure you provide the Director of Survivor with a clear picture of each element of group culture in your country. Having said that, each segment should contain information from at least a few sources and some will likely contain narratives up to 500-750 words (use multiple slides to ensure the font is readable). Each tribe member should review EVERY segment before it is submitted to the instructor. Segments should be reviewed for spelling/grammar, content and consistent voice (e.g. it should not read like multiple authors wrote it). Blatant failure to proofread is not acceptable and could result in a 0 grade. I will provide you feedback after each project segment is submitted. Prior to delivering your final presentation, I expect your segments to be revised. Your final presentation must be 15 minutes long with 5 minutes remaining for questions. You will present your project to the Director of Survivor in a creative, articulate way… think as though you’re trying to sell your new invention to the Sharks on Shark Tank or as though you’re trying to convince the Tribal Council to cast their vote for your tribe as the winners! This is your time for your tribe to shine; plan on choreographing and rehearsing this presentation a great deal!! Uniqueness: What makes group communication in this country unique?